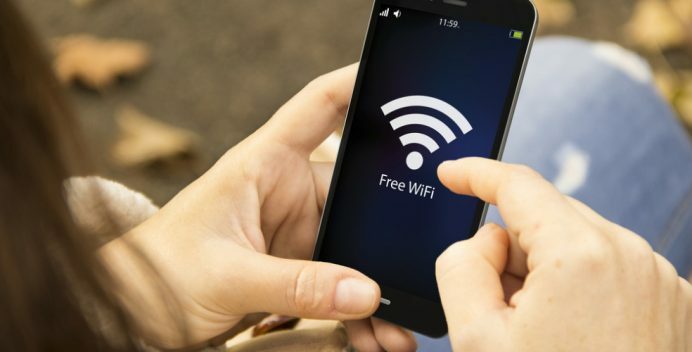 If the very thought of connecting to free Wi-Fi on your Android phone in cafés, subways, airports, and other public places is enough to make you shudder, then there’s a good news for you. There’s no longer any need for you to lock yourself out of digital space just because you are miles away from a trusted internet connection and have already exhausted your monthly mobile data plan. With FalcoVPN installed and running on your device, you can benefit from free Wi-Fi networks without needing to worry about hackers or snoops intercepting your data and walking away with your personal and sensitive information. The free VPN proxy app for Android leaves absolutely nothing to chance and goes the extra mile to deliver you the peace of mind you crave. If you want to keep hackers or snoops at bay on an unsecured public network, then you obviously require a defense that is completely flawless. Leaving even the slightest hole exposed can give attackers an opportunity to capture your data in transit. FalcoVPN does an excellent job of mitigating this risk by encrypting your data using the OpenVPN and transporting it over either Transmission Control Protocol (TCP) or User Datagram Protocol (UDP), depending on your preference. It would take extremely bad luck or an extremely skilled hacker to fall prey to the dangers of using an unprotected public network. Even if your data does get intercepted in the air, it would be in encrypted form, thus making it unreadable to the interceptors without the required public key. If you don’t care too much about the technical details and are just interested in knowing whether FalcoVPN really is capable of delivering a reliable internet experience in an unsecured digital environment, then the short and simple answer is yes, absolutely! Fortunately, FalcoVPN doesn’t burden you with any such apprehensions. On the contrary, it has a zero-log policy, which means you will remain completely anonymous on the web if that is what you desire. With so many different VPN apps circulating on the web, each claiming to be better than the other, it is easy to fall prey to excellent marketing for a mediocre app. FalcoVPN, however, has taken a slightly different approach by showing what it’s truly worth through its service. The service boasts a huge network of servers located around the globe to ensure that you don’t experience any performance or speed hiccups while browsing the web through the VPN servers. FalcoVPN’s support team also deserves a mention as it’s pretty efficient and more importantly knowledgeable. No matter what kind of trouble you run into, you can safely rely on the support team to help you get out of it. You’ll certainly feel a lot more confident using the VPN app while knowing that there is always someone who has your back. There really isn’t any reason for you to avoid public Wi-Fi now that you’ve got FalcoVPN to keep your internet experience completely secure.